You may not have heard of Radhames Rodriguez and Tabacalera El Artista or then again maybe you have. 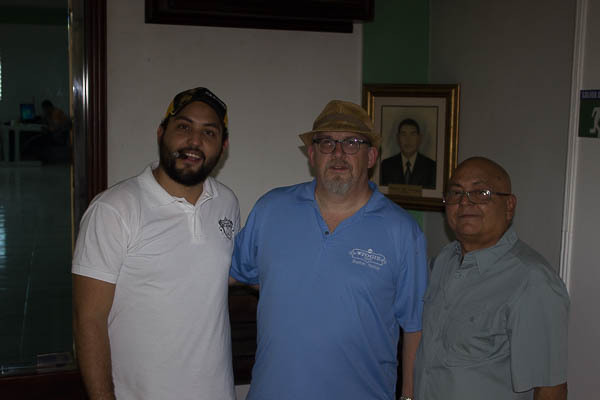 I recently had the opportunity to visit with Radhames Sr. and his son Radhames Jr. and was given a seed to cigar tour their facility in Tamboril, Santiago, Dominican Republic. I spent a few days in their factory, walking their farms, exploring their processing facilities, and learning the history and this 60-year-old family operation passed from generation to generation. 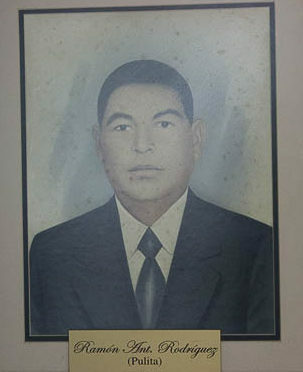 It all started back in 1956 when Ramon A. Rodriguez (aka Don Pulita) and his friend Don Jose J. 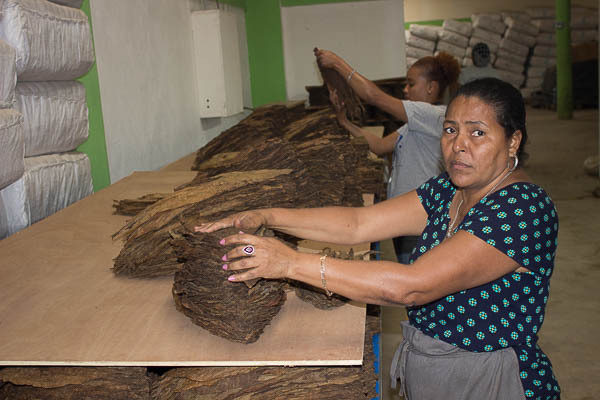 Dominguez., set out to open a new business in the tobacco industry. Originally named Puros Cibao, it was just a local business based out of a warehouse that sold their brand, with the same name, to the local market. Staffed with 9 craftsmen they produced about 12 thousand cigars month. The brand was a good one and the company continued to experience growth, so much so, that by the mid 1970’s they were producing over 500 thousand cigars a month. 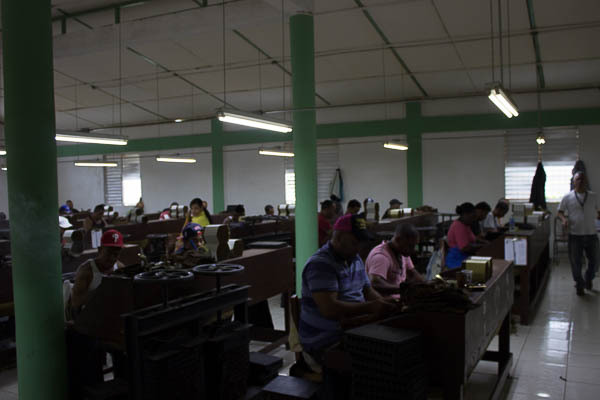 It didn’t take long for the company to realize that they should be producing raw materials for the numerous cigar factories that started to follow them. It was 1995, just before the cigar boom, in the Dominican Republic that things started to change. 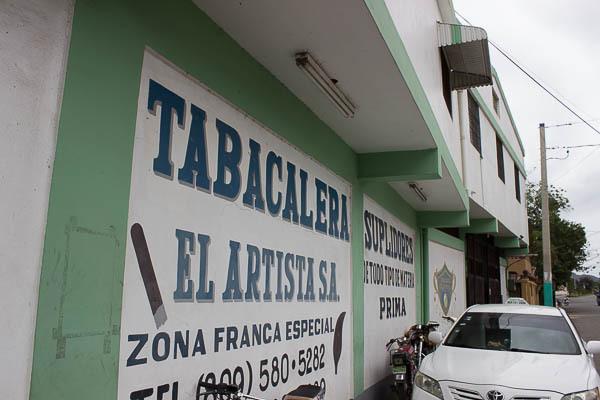 The company changed its name to Tabacalera el Artista S.A. which was representative of the art their employees brought to the premium cigar business. 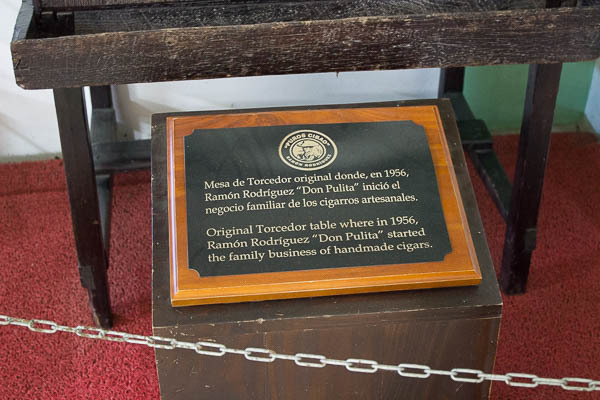 When the boom hit in 1996, the company decided to introduce their Don Augusto brand to the worldwide market which broke the company’s sales and production expectations. Tabacalera el Artista has not slowed down. Today they have production capacity of over 60,000 sq ft producing over 60 brands. They plant over 1,400 acres of tobacco a year, on their 677,000 sq ft plantation in the Dominican Republic. 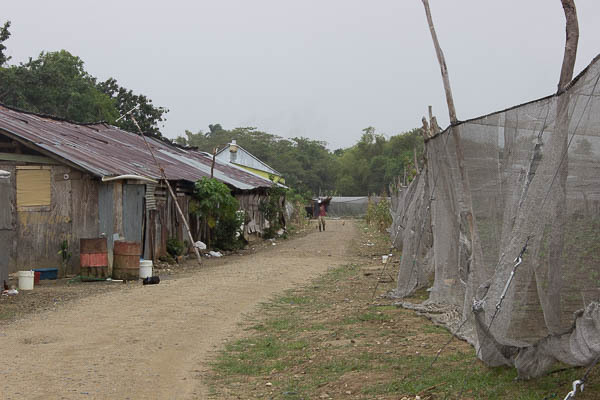 They also have farms in Ecuador where they grow wrapper. The company has been growing a national wrapper for the last 5 years and has been developing hybrid leaf also. 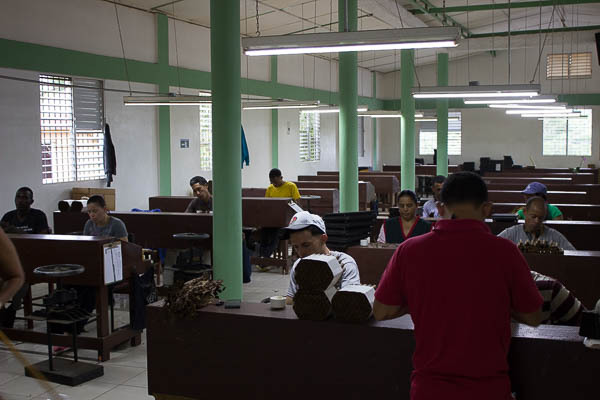 In total they produce over 7.5 million cigars a year and now employ over 450 employees. 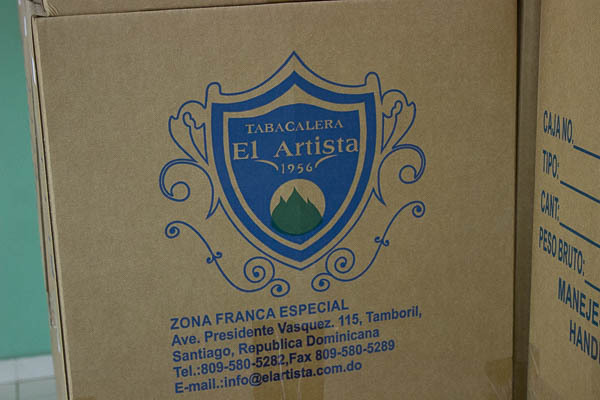 Probably best known for their Exactus brand, Tabacalera El Artista is now ready to roll out a 60th anniversary cigar to celebrate their longevity on the business. Before I left, they provided me some pre-release samples which you can read the review of here. We also will be giving away an Tabacalera el Artista ash tray to one lucky winner. All you need to do to qualify is comment on this article. Take a stroll with me, as I guide you through Tabacalera El Artista and show you what it takes to bring a cigar to market. 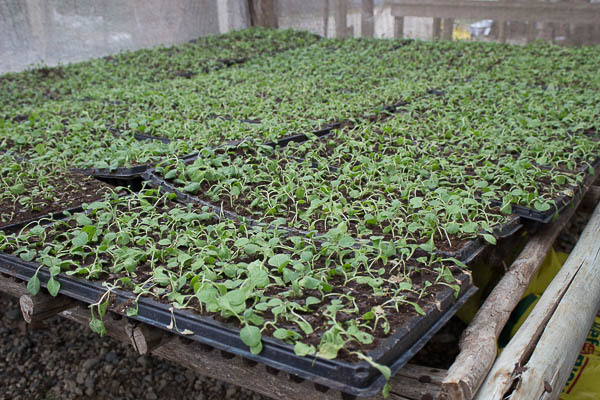 Seedlings – Seeds are planted in trays in a green house. Before the seeds are planted the soil is disinfected and to control pests and soil disease and then fertilized and tested. 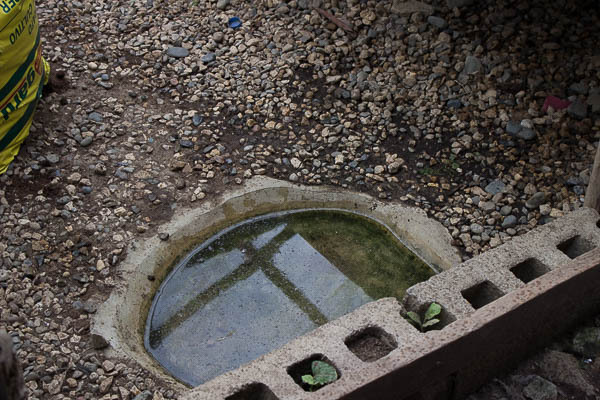 In fact before you enter the green house you have to step into a small pool of water to wash your shoes so as to not bring any contamination in. 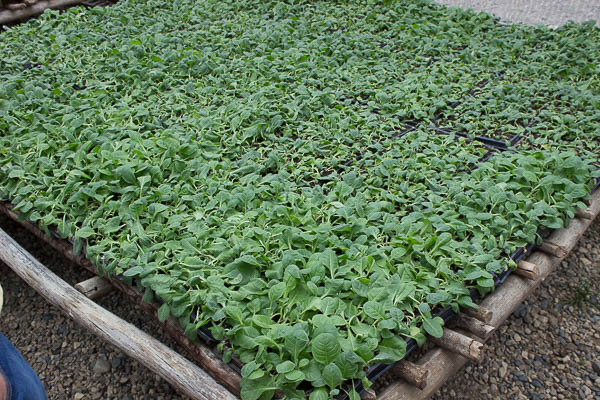 Once planted, the seeds take roughly 45 days to get to the point where they can be transplanted. During this time the beds are irrigated on a regular basis and constantly checked and controlled for weeds and pests. The process from seed to seedling is roughly 45 days. Priming – Once the plants are mature, the leaves are primed at various stages of growth. This can take days, as the primings are done in stages, starting from the bottom of the plant to the top. There are usually 5 primary primings. Corona – Highest and most aromatic leaf as it gets the most sun. Ligero – Second in height and like the corona leaf it is also aromatic, with higher concentration of strength and flavorful. 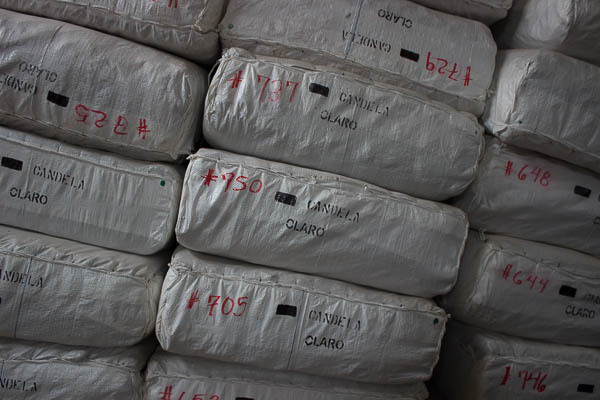 Ligero tends to have a lower combustibility and is used in filler but needs a Seco or Viso add to combustibility. Viso – The most balanced of the leaves and makes some of the best filler. Seco – Good burn with a light flavor, used for filler often. Volado – Lowest Leaf on the plant and has the least aroma and the highest concentration of moisture generally mild and thin, Being the lowest they tend to be covered in mud and sand and tend to be used for compost or disposed of. These are sometimes called “sand lugs” as they are often against the ground and are coated with dirt splashed up when it rains. Priming can take 2 weeks as each level is done seperately. As they leaves are primed they are sewn together so they can be brought to the barns where they will hang and cure. 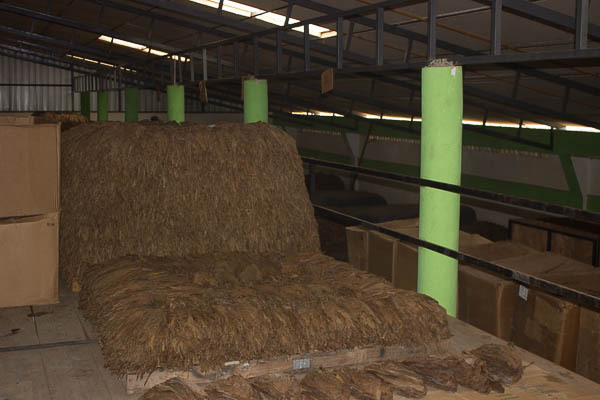 After the leaves are cured, they are gathered and brought to a process facility where they are stacked in pilones which is essentially a carefully constructed pile of tobacco leaf. Before this is done though, the leaves are classified for filler, binder, and wrapper and tied into “hands” of about 30 – 35 leaves. The pilones is essentially a compost heap that starts the fermentation process. 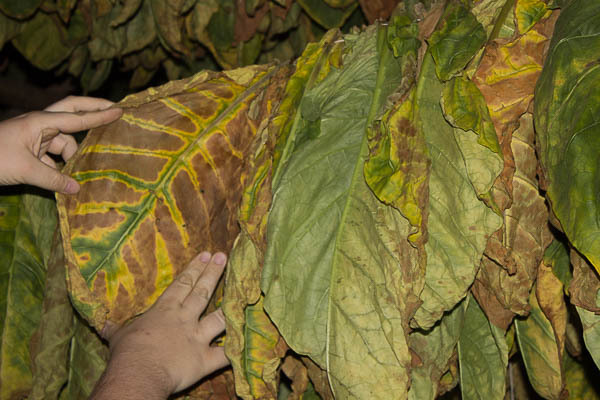 This process is perhaps the most important process of the tobacco preparation, as it is where the leaf develops its taste. Temperature is measured at the center of the pilones and when it reaches from 115 up to 130 degrees F the pilones is broken down and the hands are rotated moving the center leaves to the outside and the outside leaf to the middle and the bottom to the top – this is known as “turning”. The leaf is showered with a clean spray of water and the process continues until the fermentation completes (temperature rise is not detected). Fermentation is a natural process that develops flavor, color, and actually reduces the amount of nicotine in the leaf. 2 – 3 months. Now that the leaf has been cured and fermented, the pilones are broken down and the hands are taken to the sorting area where they are taken apart and checked for imperfections like holes in the leaf. The pristine leaf is used primarily for the wrappers. Before being used in the rolling process the leaf is stripped of its center vein. This is done by a worker who clips the vein near the tip and pulls it down. Stripped leaves are laid in piles known as books or pads. The leaf is then wrapped in bales and stored until needed. 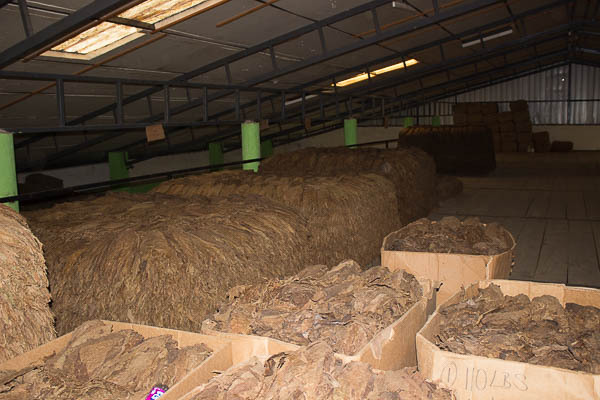 The baled tobacco does not go through further fermentation but does have a slow aging as it sits in the warehouse. Each bail is marked and stored. 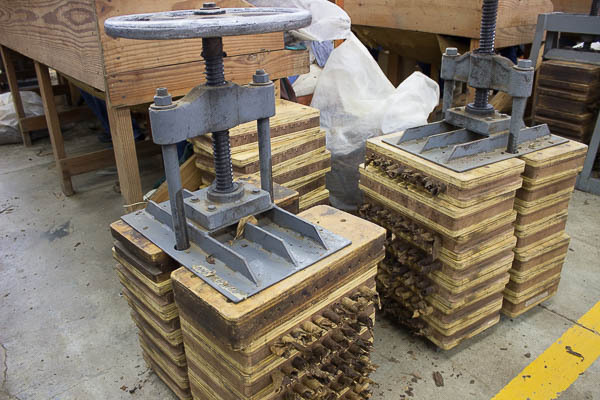 Once the bails are selected, the blender creates the formula for the cigar. Each leaf is carefully selected and presented to the Torcedor for rolling. 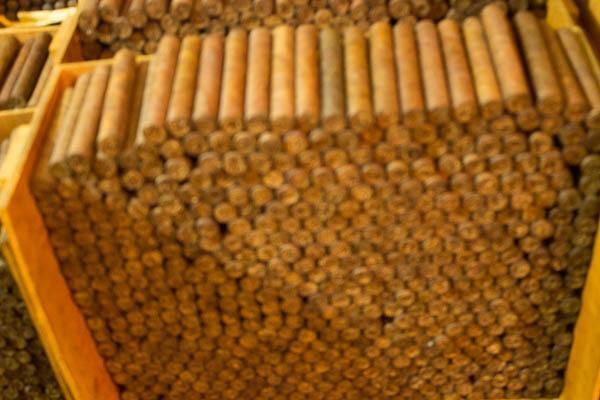 A Torcedor is a highly skilled and specifically trained cigar roller. The individual leaves are stacked in piles representing the formula. 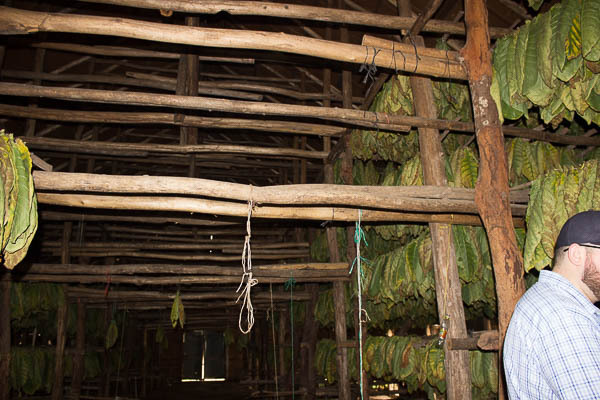 The Torcedors take the filler tobacco according to the prescribed formula and lay them together and then bunch them by hand. The binder is then applied and the raw binded cigar is placed in molds to create the shape of the particular vitola. 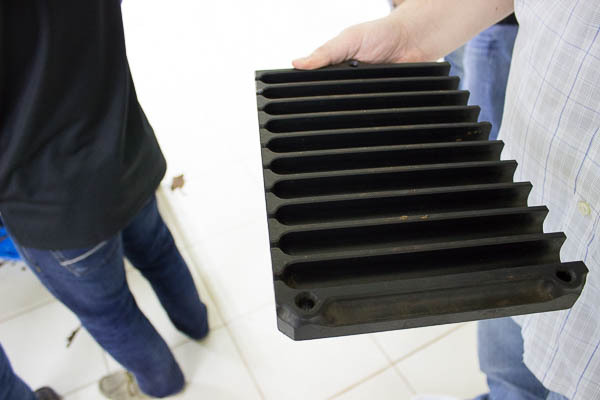 These molds are then put in a press to form the shape of the cigar. After the pressing is complete the cigar is then wrapped with the outer leaf. Each torcedor rolls about 300 cigars/day. Every cigar is then put through a draw test. This is a special machine that the pre-capped cigar is put in, to test the draw qualities of the cigar. No cigar leaves the factory without having passed a draw test. This ensures that the cigar does not have a plug in it and guarantees the consumer has a pleasant smoking experience. After the draw test is complete, the cigars are capped. 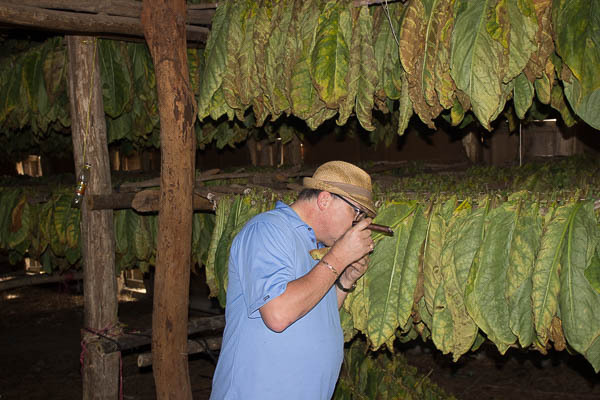 The cap can be just a small circle of tobacco that is glued onto the head of the cigar using a vegetable based glue or it may be finished with a pig tail which is the remainder of the wrapper leaf. 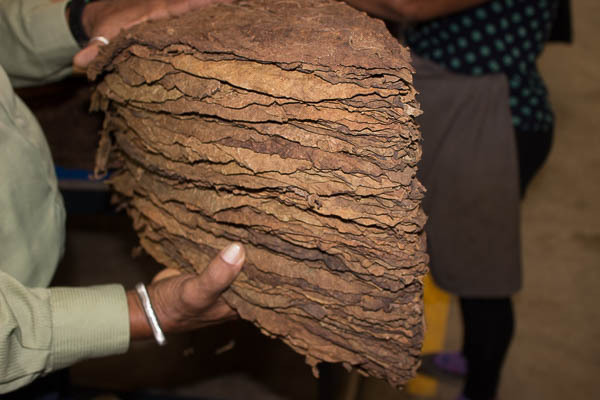 Caps can also have an additional slice of tobacco that is glued around the bottom of the head before the cap is applied so when the cap is cut, the wrapper has less of a chance to unravel. 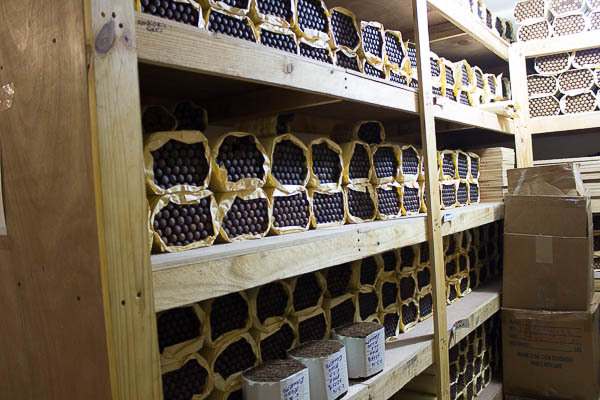 Once the cigars are finished they are moved into an aging room where they will rest for 6 months to a year. This room is like a large humidor, except the temperature is lower than a normal humidor, usually around 50 degrees farenheit. 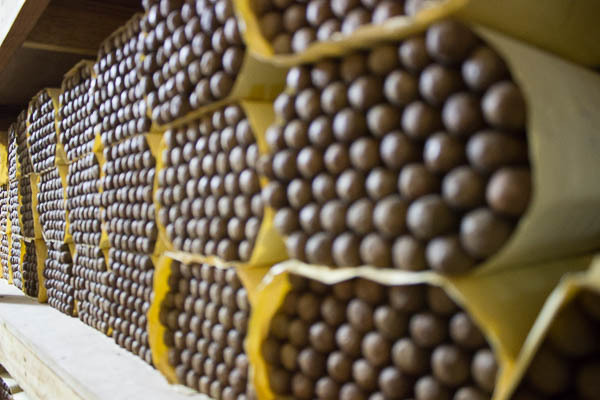 The aging allows the cigar to settle and exhaust any remaining ammonia, before it is banded, boxed and shipped. 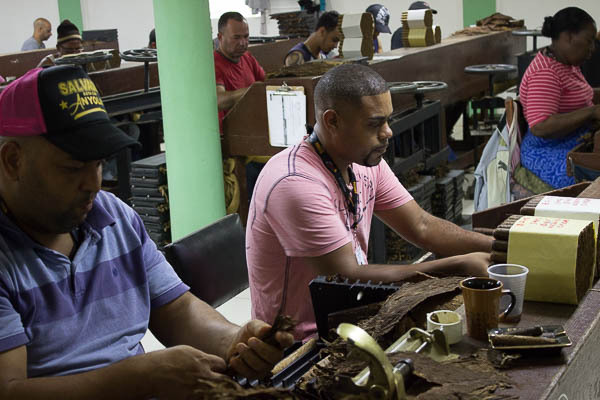 Bands are an important part of cigar culture. They represent the brand and were originally created to keep the fingers from picking up tobacco stains. Today these bands can be anywhere from simple paper to embossed and metallic print with bold colors and designs. Bands have become a collectors item for many consumers and have been used to make art work and furniture tops to show off the smokers enjoyment. After the cigars are banded they are moved to the packing area where they are either slipped into a cellophane sleeve or left unsleeved. They are then boxed and sealed for delivery. Boxes, like bands, are a reflection of the brand. The artwork can be very elaborate and many consumers collect them also. 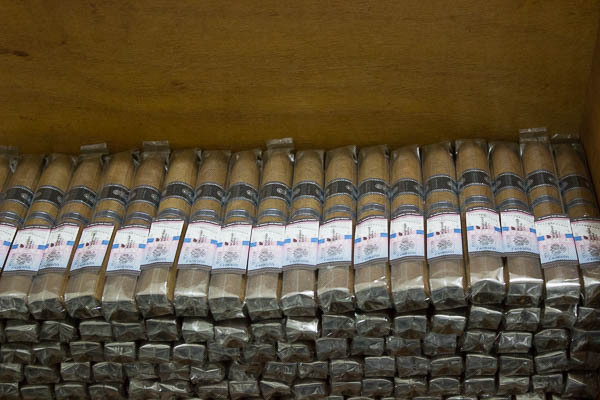 Some brand owners opt to ship the cigars as bundles instead of boxing them. Usually these are the less expensive cigars in their portfolio. 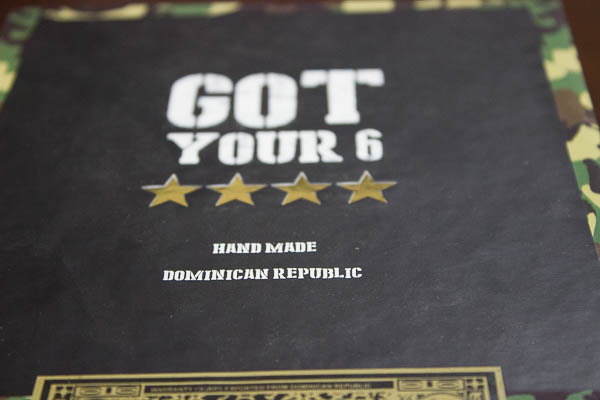 You can see our story about making cigar boxes here. 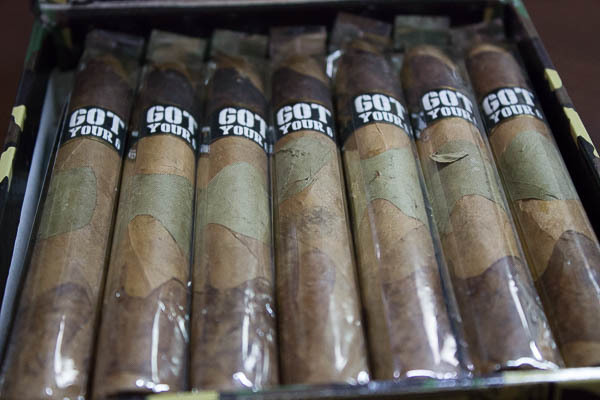 Once the cigars have been boxed and prepped for shipping, they are sent to the shipping area where they are packed and sent to their destination. Once they arrive in the US, they have to pass through customs and an SCHIP (State Children’s Health Insurance Program) tax is paid before they can be moved to the brand owner. Some times the brand owner uses a bonded warehouse where they don’t have to pay the SCHIP tax until they leave the warehouse for the ultimate destination – your favorite Brick and Mortar shop or online retailer. 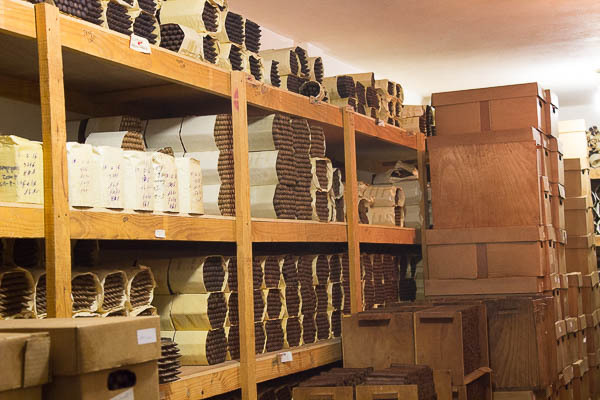 The process of shipping and receiving cigars can take weeks to months to clear through the process. So there you have it. That is the process of getting the cigar from a seed to your palate. I hope you enjoyed reading this as much as I enjoyed following the process. Now when you enter that humidor and select your cigar of choice, you should have a better appreciation of the time, art, craftsmanship, and science that goes into creating a cigar. i have been told that roughly 300 sets of hands touch the process from start to finish. Radhames Rodriguez Jr. Boston Jimmie, Radhames Rodriguez Sr. I would like to thank El Artisita, and the Rodriguez family, for taking the time to walk me through the process. On a side note, Radhames Rodriguez Sr. is a championship dominoes player and has the many trophies to show for it. This entry was posted in Cigar 101, El Artista and tagged Cigars 101, El Artista, El Artista 60th Anniversary, Radhames Rodriguez, Ramon A. Rodriguez, Tamboril. Bookmark the permalink. Commitment, Pride, and assurance to quality should provide continued success. I love every aspect of the process. Its an art no doubt about it! I didn’t know they gave trophies for dominoes championships!!! My first time reading about the entire process, very interesting and comforting that the whole cigar is correct crafted by a man or woman. I’m always fascinated by the curing and fermenting process. This for me is where the magic happens. I love hearing about every step. I thought planting corn around the fields was neat. Never heard that. I love learning about the whole process. I’ve been enjoying cigars for a few years with my wife. We appreciate the hard work and process that goes into crafting one of our passions. I would say my favorite part f the process would be the gang room… Can you just matinee the aroma‼️????? What I meant to say is my favorite part would be the aging room because of the aroma‼️????? The whole process, from seed to fermentation to rolling, is so fascinating to me. I would love to visit a farm in the future. Really nice read. Well my day job from 7 am till 6 pm is being an engineer.. My after hours hobby is cigars and that trip was kind of like a vacation. But I do appreciate my sponsors on StogiePress as I rolled that revenue into visiting the DR. So I guess you could say I gave it back to the cigar world. It is incredible that despite our rapidly advancing technology, cigar manufacturing has changed so little over the generations. We all hope it stays that way too Steven. Thanks for reading. I love the complexity that goes into cigars. Some people just don’t understand that it’s more than just a cigar. Great read, never realized what truly went into this. You could teach a class based on this article. Very well written. Great photos too. Thank you for investing the time to share all of this with us. I look forward to trying these cigars. Beautiful ashtray too! Is it too late, just came across your video? Very interesting story. I enjoyed the read and knowing how my cigars are made.